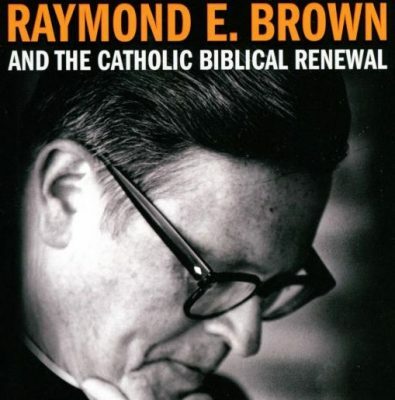 “Raymond E. Brown and the Catholic Biblical Renewal” by Donald Senior, CP. Paulist Press (Mahwah, New Jersey, 2018). 332 pp., $29.95. Sulpician Father Raymond E. Brown (1928-1998) was, without a doubt, the greatest American Catholic Bible scholar of the 20th century. Taking this official church teaching to heart, Father Brown put the historical-critical method to work not to encourage skepticism but to help Catholics, and Christians in general, better understand and shape their lives according to the Scriptures. Paulist Father Donald Senior, author of this book, is president emeritus of Catholic Theological Union in Chicago and a leading scholar of the New Testament. His book on Father Brown is more a discussion of the Sulpician’s contributions to New Testament scholarship than a biography in the traditional sense. Father Senior covers the basics of Father Brown’s life, to be sure, but his focus is mainly on his subject’s books and other writings. This is the book to read if you want to better understand what Father Brown said in his books and what he did in his academic life in general. 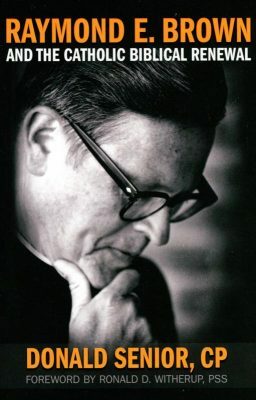 Following an introductory discussion of the historical context for Father Brown’s life and work — namely, the Second Vatican Council and the biblical renewal it inspired — Father Senior focuses on Father Brown’s early life, vocation, engagement with critical issues in the church, and pioneering contributions to dialogue with Protestant scholars. He presents overviews of Father Brown’s major works including studies of the Gospel of John and the other Johannine writings in the New Testament. “In short,” Father Senior concludes, “Raymond E. Brown was an exceptional scholar and an exemplary member of the church whose example should not be forgotten.” Amen. Finley is the author of more than 30 books on popular Catholic theology, including “The Rosary Handbook: A Guide for Newcomers, Old-Timers, and Those In Between” (Word Among Us Press), “What Faith is Not” (Sheed & Ward) and “The Seeker’s Guide to Being Catholic” (Wipf and Stock). Catholic News Service is the U.S. Conference of Catholic Bishops’ news and information service.